Turbonetics Silicone - 45° Elbow UNIVERSAL - Dezod Motorsports Inc - Home of the automotive performance enthusiast since 2002. Turbonetics offers Silicone Hoses for all your intercooling needs. 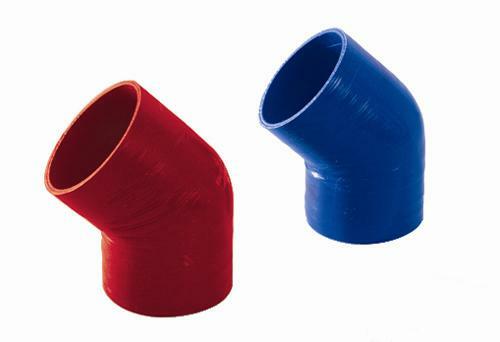 Turbonetics 45° Elbows are available in Black, Blue and Red – and all popular diameters. Turbonetics Silicone Hoses will make sure your intercooler will perform as expected.